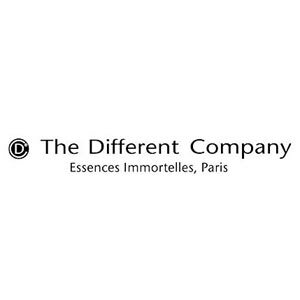 The Different Company has managed to become a reference in the Haute Parfumerie Contemporaine thanks to a unique signature not only with our fragrances but also with a unique designed concept. Because the ultimate luxury reflects our differences, The Different Company is focused on creating fragrances without any compromise on the excellence of the raw material and of its creations. - A brand dedicated to and driven by creativity. - A unique combination of design with Thierry de Baschmakoff and of perfume composers with Jean-Claude and Céline Ellena, Bertrand Duchaufour, Émilie Coppermann, Christine Nagel, Alexandra Monet, Corinne Cachen and Delphine Jelk. The company is now present in more than 40 countries with their fragrances created by Jean-Claude and Céline Ellena, Emilie Copperman, Bertrand Duchaufour and Christine Nagel.